A lot has been written about Microsoft buying GitHub. 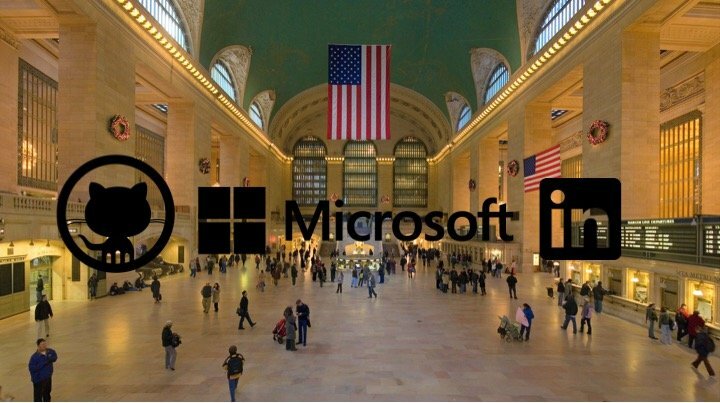 I like Redmonk’s Stephen O’Grady’s So Pigs Do Fly: Microsoft Acquires GitHub post. He shares some interesting insights, like Microsoft competitors may likely switch to a different platform, or host their own. What would be the most powerful AI? One that is able to create the best programming solution the fastest. Having access to all the activities of all these developers on Github, as well as Microsoft’s own developers. All that data is an excellent starting point for a Machine Learning algorithm to develop a software problem solving AI. My focus would be to develop a programming assistant first, that learns the habit of the most productive programmers and that AI would then nudge the average or even mediocre ones to write better code. Thinking about it, even I would dust off my programming skills if there is a friendly AI helping me to get really good at it. Here is another aspect that I have not seen covered. Deloitte recently published their Workforce of the Future study. In it 60% of the interviewees think: ‘few people will have stable, long-term employment in the future’. Software is eating the world. Every company is becoming a HighTech company with the developers being at the center of their future success. Just try to hire a PHD level AI coder right now. They are able to command upward of $500K yearly salary at the moment. If more and more work shifts to the gig economy, and developers are the most sought after in that economy, there is enormous value in being the platform that is ground zero for these freelance developers. Freelance Group insurance, especially health. Billing, actually Microsoft should tailor their Dynamic Cloud ERP system specifically for developers that simplifies all the business stuff that freelancers have to do, so that they can focus on what they do best: writing code. A whole cottage industry of services will spring up. Will Microsoft be able to pull that off? I think they are well positioned to do so. If they are, we will look back in a couple of years and say, that buying Github and LinkedIn was a really smart move from Microsoft.